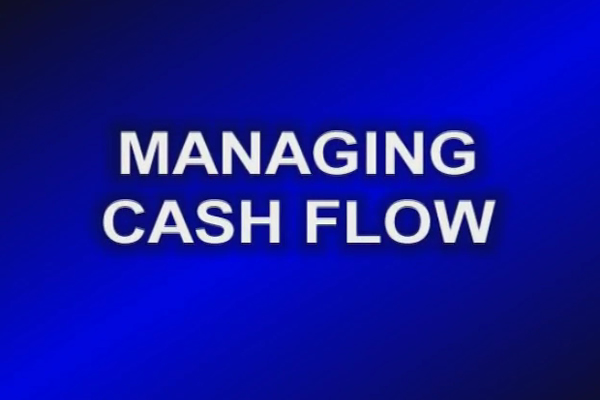 Managing Cash Flow for Business Prosperity - The ability to manage cash flow from the start is key to a successful business. Protect Your Business with Credit Checks - Avoid the likelihood of payment delays, or not getting paid at all, by running credit checks before extending credit to someone. The Evolution of Small Business Payment Solutions – Survival of the Fittest - Here’s what you need to know about 21st Century payment solutions for small businesses. Simplify Getting Paid by Adding Remote Deposit - Here’s what you need to know about Remote Deposit and Payment Capture technology. Improve cash flow by taking control of your receivables - Here’s what you need to know to create an effective and efficient Receivables Management capability. Getting Paid What You Are Owed by Enhancing the Collection Process - Staying on top of unpaid receivables can be a matter of business life and death. The Benefits of a "Just In Time" Inventory Approach - It's usually a struggle between making sure you have enough items available for sale at any given time but not so much inventory that you face a multitude of risks. Mastering Payables to Drive Positive Cash Flow - Improving your payables process is the ultimate key in enhancing your cash flow position. Optimizing Business Cash through B2B Barter - Here's how bartering can legitimately help you grow your business. Why Understanding Your Business is Key to Preventing a Cash Flow Crunch - A robust cash flow management system can prevent a potentially crippling cash flow crunch.